The speaking ministry at Crystal Peaks is an opportunity to bring a message of hope through the gospel of Jesus Christ. It is a great honor to represent the Author of Hope by traveling beyond the property boundaries of the ranch. If you wish to book a speaking engagement with Troy, Kim or any one of our staff members, please fill out the appropriate proposal form. Each proposal form submitted is considered, prayed over and responded to in a timely manner. You may also contact the ranch speaking assistant at: speaking@cpyr.org or call 541-639-9530. As Chief Executive Officer, Troy oversees general operational leadership over the entire ministry. In addition, the Lord's message of hope affords him the opportunity to speak to churches, leadership organizations, men's conferences and retreats on a national level. These messages cover Godliness in leadership, marriage, accountability and manhood. 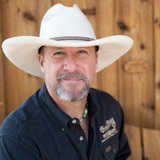 Troy has also traveled to similar ministry ranches throughout the nation and abroad to provide consultation, support and instruction in Resistance Free Horsemanship as a certified Richard Shrake clinician. Kim has written and released five books (Hope Rising, Bridge called Hope, Blind Hope, Fierce Beauty and Encountering our Wild God). Her books have been translated into five different languages and her radio interviews with Focus on the Family and Family Talk remain as some of the most requested shows in their broadcast history. Also, an accomplished and enthusiastic speaker, Kim has addressed audiences from home groups to mega churches, high schools to universities, women’s conferences to missionary conventions. She has spoken the Gospel of Jesus Christ to villages in the poorest nations of Eastern Europe to the U.S. Senate in Washington D.C. 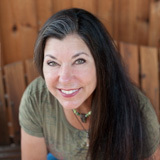 In addition to her responsibilities as the Co-founder and Chief Communications Officer at Crystal Peaks Youth Ranch, speaking and authoring, Kim is a deep wilderness adventurer. Please select the type of event that you would like to host from the drop down list below. After selecting the specific event, you will be guided to a proposal form. Please fill out the proposal form with as much detail as possible and our event coordinator will respond to your request as quickly as they are able to. Thank you so much!